Real Estate Broker at Century 21 Best Realty, Inc. 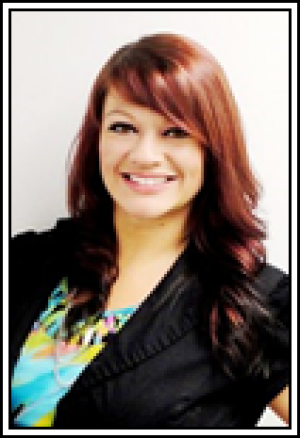 I was born and raised in Coos Bay and started at Century 21 Best Realty, Inc. the day after I graduated High school just before my 18th birthday. I worked several jobs prior to graduating from Marshfield High school but essentially I was raised in Real Estate. I started as the receptionist at Century 21 Best realty, Inc. during a peak time in the economy 11 years ago. I have since then worked my way up to office manager and also Real Estate Broker for the last 4 years. Recently I have passed the exam to become a Principal Broker, the highest license a Realtor can have. Having the opportunity to help someone make home ownership a reality is incredibly fulfilling. Same goes for selling a home for a client so they can take the next step in their life. Helping people and demonstrating what makes me a professional in my industry are the reason I love to do what I do. I adore Coos County and all it has to offer. The outdoor activities and beauty to ponder are endless. I spend many weekends hanging out at the beach with my dog and spinning my hula hoop. Storm watching, bonfires, and beach combing are never a dull time. Evenings are spent walking through beautiful Mingus Park or around the dike at Millicoma School. Sunny summer days up river catching crawdads, hiking the falls, camping and jet skiing! But this is only one reason I love my hometown. The people are another reason I stay here. Small town community where it’s safe to walk the streets at night, people say hello with a smile, and your favorite restaurant knows you by name. Plenty of amenities and options so you never feel like you are going without but if you really need a big city fix, Portland is just 4 hours away. If you are looking for local knowledge, professional representation, and a friendly face please contact me to discuss your home buying and selling options.